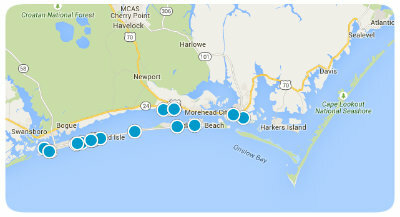 Harkers Island, NC is located in Carteret County with a population of approximately 1700 people. This area gets most of its services, like law enforcement and schools from Carteret County. Its electricity and water are furnished through a membership cooperative. The major industries of this small island are fishing, boat building, tourism and waterfowl decoy carving. 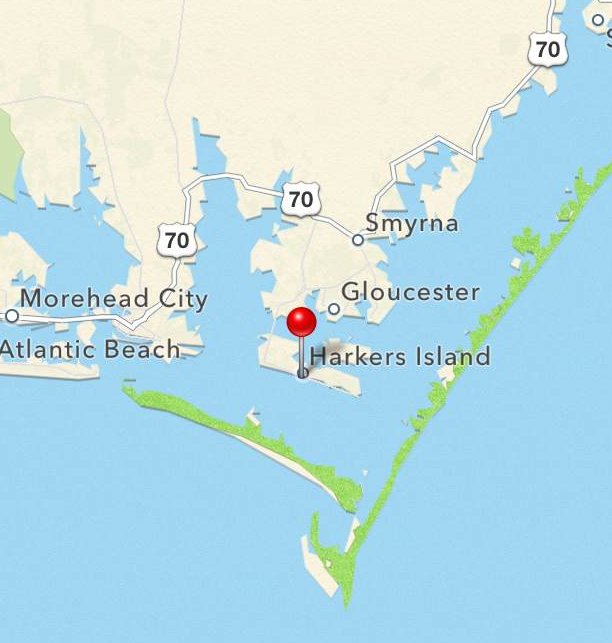 Harkers Island has a total of about 3.8 square miles. About 2.5 miles is land and about 1.3 miles is water. At its highest point, known as the “sand hole” the island is maybe 16 feet above sea level. The “sand hole” is an area on the western end of the island and is mostly white sand on rolling dunes. Harkers Island is protected from the Atlantic Ocean by the barrier island of Shackleford Banks on the south and the Core Banks to the east. The body of water on the south side is called Back Sound, the east side is Core Sound and the north side is known as The Straits with the northeast being the mouth of the North River. This area was so isolated from the mainland for so many years that the residents actually have developed a dialect of English referred to as “High Tider”. They have a very unique tone, pronunciation and expression to their “talk” which is fascinating and interesting to listen to. They have also developed some very interesting ways of expressing themselves with words such as “mommick”, meaning frustrate or bother or “yethy,” meaning and unpleasant odor or “dingbatter,” which refers to a visitor to the island. Every year, on the first full weekend in December, the Core Sound Decoy Festival is held on Harkers Island. The festival has antique decoy exhibits, demonstrations and competitions that include duck calling, loon calling and head whittling. There is also delicious food and crafts offered by many vendors. A fun time is experienced by all that attend. Now, doesn’t this sound like a fun and unique experience and place to see and enjoy and possible live! There are so many beautiful homes with spectacular views of the water and Cape Lookout Lighthouse as well as Shackleford Banks and the wild horses. The boating in this area is easy and fun with access to many, many areas within minutes. 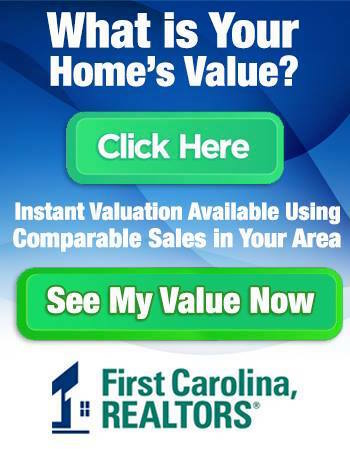 Call one of the agents at First Carolina, REALTORS® and let us show you what this “little” town has to offer. 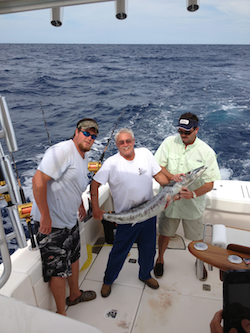 Our friends Mike, Matt and Tony wrestle in a big one right off Harkers Island. 12 Large units for boat storage or personal property. Concrete slab floors, water and power. Not in flood zone. Selling ''as-is''.